Bevel layer is used to create a highlight and shadow over a shape. 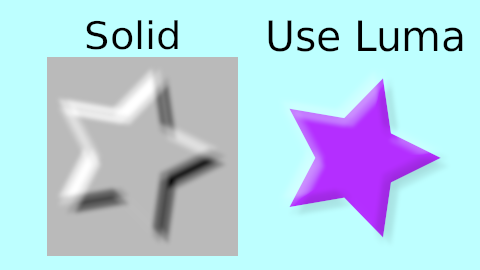 It pretends to give some volume to the shape by adding a dark area on the opposite place of the light direction and a light area on the light direction side. Only particular parameters of the Bevel Layer are described here. The other parameters are common for other layers and are explained separately. 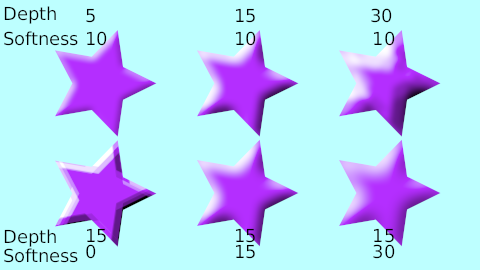 The Bevel Layer produces two effects over the context of the layer that are based on the Alpha channel of each pixel of the context. Imagine that the Bevel Layer traces light rays from the light source. When the ray line finds a transition from transparent to solid it creates a light region (Hi-color). When the ray finds a transition from solid to transparent it creates a shadow region (Lo-color). The Light Angle parameter determines the source of the light. The Depth of Bevel determines how wide is the region of light or shadow created and the Softness parameter produces a feathered light or shadow region instead of a sharp one. 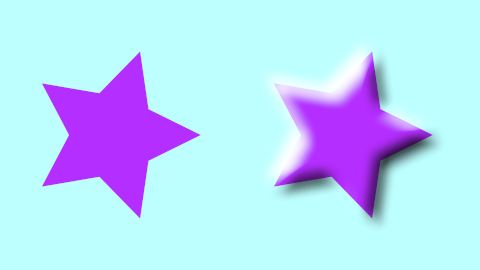 The feather type is determined by the Type parameter and can be one of the known Blur Types. Modifying the light angle changes the regions that are high lighted and darkened. It is an angle parameter and it is defined from the X positive axis counter clock wise. The Depth of Bevel parameter determines the width or expansion of the bevel on both sides (dark and light side). The bigger the parameter is the softer the produced bevel is. Softness parameter controls how feathered is the bevel. Its type of feather is controlled by the Type parameter. 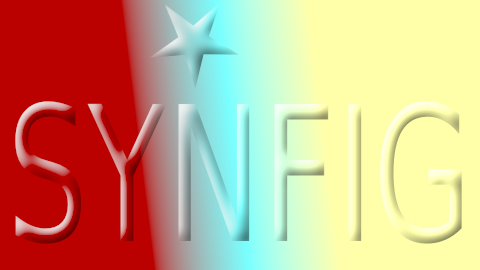 One usage of Solid parameter combined with Hard Light Blend Method in the resulting bevel over the gradient. This page was last modified on 2 March 2017, at 17:16.